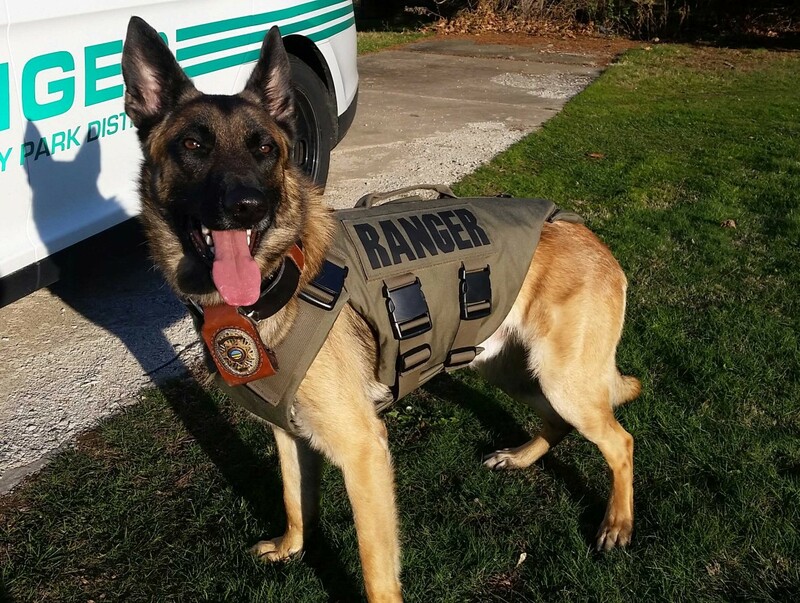 Stark County Park District’s first K-9 ranger, Gunnar, has received his k-9 ballistic vest thanks to non-profit organization Vested Interest in K9s, Inc. and was sponsored by Consultative Insurance Group of Middleburgh Heights, OH. The new vest was custom-made and weighs about 5 lbs. It has a five-year warranty. Gunnar has been patrolling Stark Parks in his new gear with his handler, Sergeant Jonathan Crock. Vested Interest in K9s, Inc. is a 501c (3) charity located in East Taunton, MA. whose mission is to provide bullet and stab protective vests and other assistance to dogs of law enforcement and related agencies throughout the United States. Since its inception in 2009, Vested Interest in K9s, Inc. provided over 1,550 protective vests, in 49 states, through private and corporate donations, at a cost of over 1.4 million dollars. There is an estimated 30,000 law enforcement K9s throughout the United States.